Enabling intelligent search systems that can navigate and facet on entities, classes and relationships, rather than plain text, to answer questions in complex domains is a longstanding aspect of the Semantic Web vision. 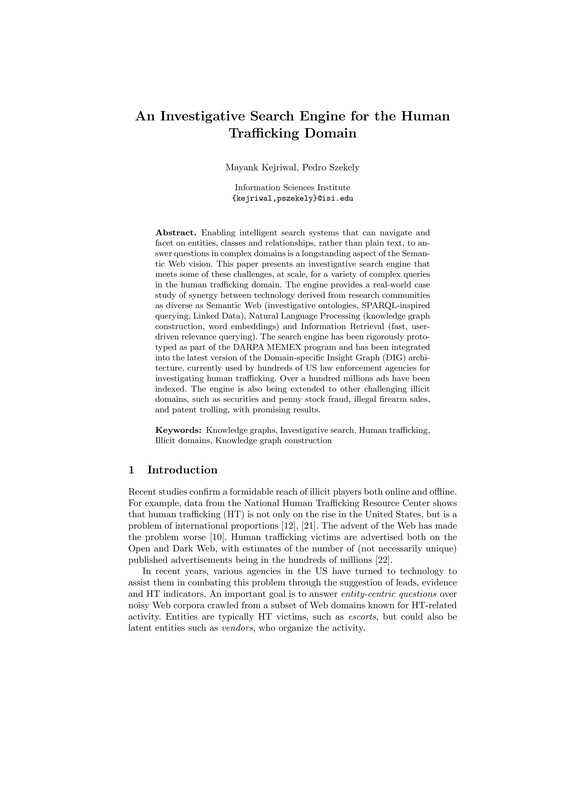 This paper presents an investigative search engine that meets some of these challenges, at scale, for a variety of complex queries in the human trafficking domain. 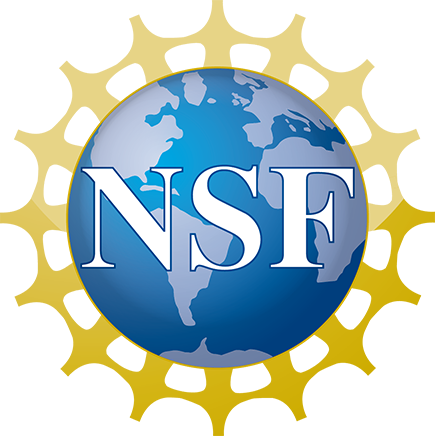 The engine provides a real-world case study of synergy between technology derived from research communities as diverse as Semantic Web (investigative ontologies, SPARQL-inspired querying, Linked Data), Natural Language Processing (knowledge graph construction, word embeddings) and Information Retrieval (fast, user-driven relevance querying). The search engine has been rigorously prototyped as part of the DARPA MEMEX program and has been integrated into the latest version of the Domain-specific Insight Graph (DIG) architecture, currently used by hundreds of US law enforcement agencies for investigating human trafficking. Over a hundred millions ads have been indexed. The engine is also being extended to other challenging illicit domains, such as securities and penny stock fraud, illegal firearm sales, and patent trolling, with promising results.